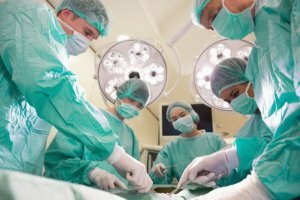 Below, our Georgia injury attorneys explain what acts may constitute medical malpractice and describe the elements of a lawsuit. Additionally, we also discuss the damage caps that apply to medical malpractice claims in Georgia. These laws limit the amount of compensation that medical injury victims and/or their families may recover. However, every case is different, so if you have a specific question about medical negligence, do not hesitate to ask the lawyers. Otherwise, consult our local listings to find an attorney near you. What Are Medical Malpractice Damage Caps in Georgia? Many states, including Georgia, limit the amount of compensation you can recover from a medical malpractice lawsuit. In most cases, damage caps apply only to certain types of damages. Economic damages include all compensation you receive for measurable expenses. This may be medical bills for past and future treatment, and lost wages. Usually, economic damages are not capped. The Georgia medical malpractice damage cap applies only to non-economic damages. These are losses which are not easily quantifiable, such as pain and suffering, loss of enjoyment of life and emotional trauma. However, this category also includes compensation for permanent disability, disfigurement, paralysis, loss of limb, blindness and wrongful death. Georgia has a $350,000 cap in place on non-economic damages in any single medical malpractice claim against health care providers. This bumps up to $700,000 if more than one facility is deemed liable. For any single medical malpractice case, there is an overall $1.05 million cap on non-economic damages. , plus your economic damages, even if a doctor’s mistake has changed your life forever. However, this limit is not always absolute. In cases involving permanent, catastrophic injuries and wrongful death, the damage cap may be raised. It is important to note that, in 2010, the Georgia Supreme Court encountered a case where medical malpractice laws were drawn into question, and in that case, non-economic damage caps were ruled unconstitutional. Thus, the application of this law is very much in doubt when it comes to medical malpractice lawsuits after 2010 and onwards. Given this, consulting a medical malpractice attorney for information about how these laws apply to your specific situation becomes even more important.